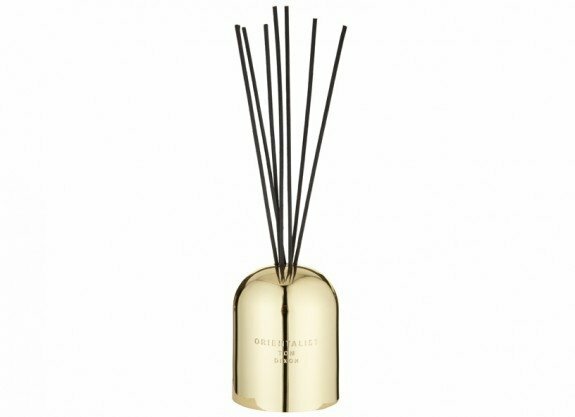 Tom Dixon scents are now available in a neat diffuser to subtly release each distinctive fragrance. A bundle of black rattan reeds are held within a solid brass and glass vessel. ORIENTALIST captures the faint memory of an Indian wedding with rose petal garlands, giant cinnamon sticks on beach stalls and the musky smells of the Chinese herbal market. Encased in a brass hand-spun vessel with a solid Morwad marble lid.